Traditional Jambalaya Perepared In Wok, Serwed On Plate. Top View. Fotos, Retratos, Imágenes Y Fotografía De Archivo Libres De Derecho. Image 118519460. 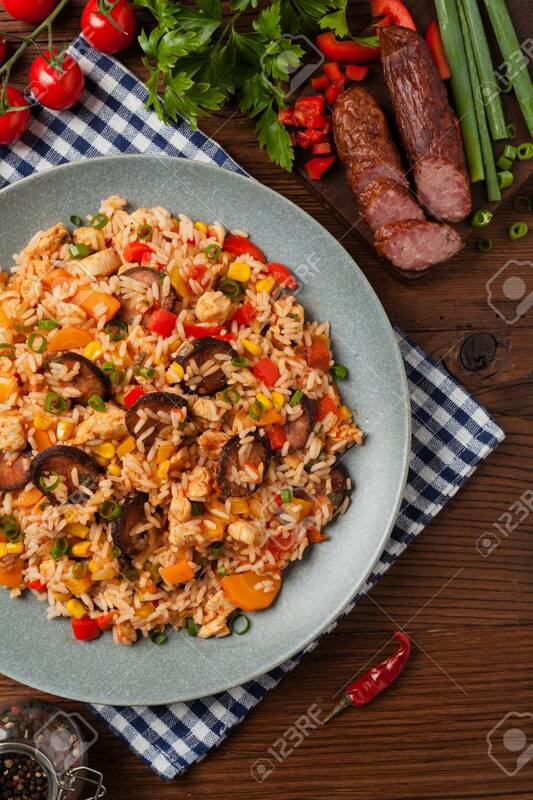 Foto de archivo - Traditional jambalaya perepared in wok, serwed on plate. Top view. Traditional jambalaya perepared in wok, serwed on plate. Top view.